The Disneyland Resort has announced a brand new experience coming to Disneyland Park‘s Adventureland. Very soon, Aladdin’s Oasis will become The Tropical Hideaway. 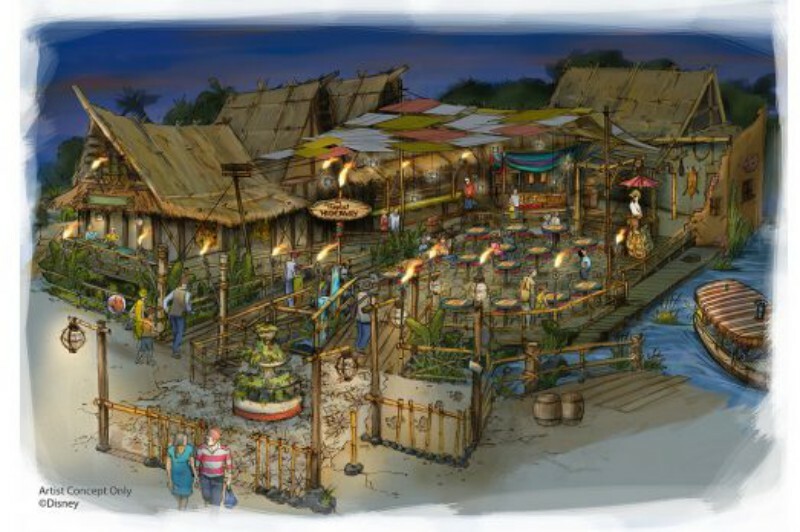 Disneyland didn’t release any other details of the new space, but based on the concept art, the Hideaway will be open with a view of the Jungle Cruise. More details and an opening date should be released soon!